Earlier this month, a London high student tweeted at another girl a few years older than herself. This wasn't just another teenage social media exchange: The older girl is believed to be an active ISIS recruiter based in Raqqa, Syria. 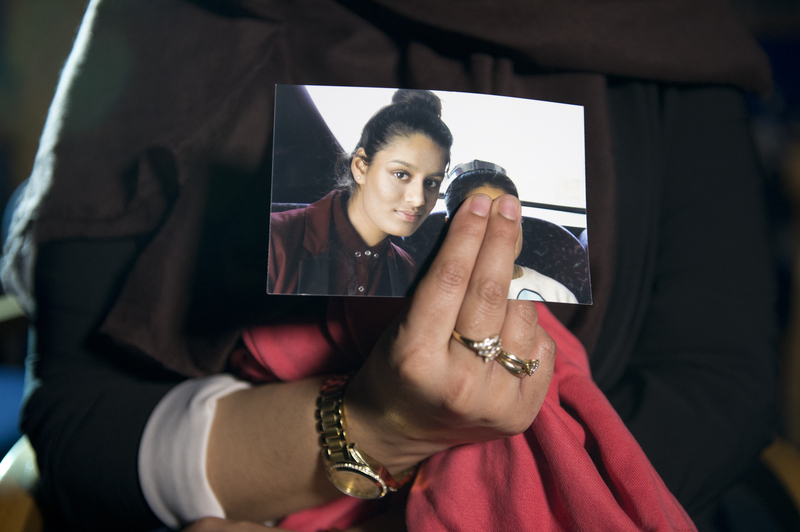 The younger girl is 15-year-old Shamima Begum, who traveled to Syria to join ISIS with two of her classmates. What kind of 15-year-old girl would want to fight and kill for a terror organization notorious for its brutality? According to those who knew her, Begum was a "driven" student who showed absolutely no signs of radicalization. The news of her departure has shocked her family and left them heartbroken. Last Tuesday, Begum, along with Amira Abase, 15, and Kadiza Sultana, 16, flew from London's Gatwick Airport to Istanbul in order to make their way to Syria, where they would join ISIS' ranks, authorities believe. The three girls were classmates at Bethnal Green Academy in east London, where other students described them as "studious." A week later, the London Metropolitan Police announced that they believe the three girls had made it to their destination, ISIS-controlled Syria. We are all shocked and deeply saddened by the news that three of our students have been reported missing from home. This situation follows an earlier disappearance of a student in December of last year. The police spoke to the student's friends at that time and, further to this, they indicated that there was no evidence that the girls were at risk of being radicalized or absconding. As the fate of the three girls remains to be seen, all we can do is examine each clue. At this point, it's clear that even the least likely young individuals are still impressionable, and any information we can glean from these London girls might help prevent other young people from going down the same road. Here is what we know about Shamima Begum so far. According to authorities, Begum is 5 feet 7 inches and has a London accent. She also speaks Bengali. The last time she was seen she was wearing black-rimmed glasses, a black hijab, a leopard-print scarf, a dark red sweater, black pants, and was carrying a dark blue duffel bag with white stripes. Begum and her classmates may have planned inconspicuously for the most part, but the 15-year-old dropped a major hint a few days prior to their departure that all but confirms their plans to join ISIS. On February 15, Begum tweeted to Twitter user Umm Layth, which translates to "mother of the lion." The message read, "Follow me so i can dm you back." Umm Layth is the online name for 20-year-old Aqsa Mahmood, who left her Glasgow home as a teenager in November 2013 to join ISIS in Syria. Since then, according to authorities, she has become one of the most effective recruiters for young British women susceptible to jihadist propaganda. We're kind of just clinging on to the bits that we have, and we just want her to come home. If you watch this, baby, please come home. Mum needs you more than anything in the world. You're our baby. We just want you home, we want you safe. ... You're not in any trouble here. We all love you. Renu also says that she's hoping that the real reason Shamima went to Syria is to bring back her friend, presumably the one who left their school in December, because it was in her "kind nature" to do that. The rest of Begum's family also issued statements, asking for their daughter to return and promising that she would not be in trouble. We miss you terribly and are extremely worried about you. Please, if you hear this message, get in touch and let us know you are safe. Syria is a dangerous place and we don't want you to go there. Get in touch with the police and they will help to bring you home. You are not in any trouble. We understand that you have strong feelings and want to help those you believe are suffering in Syria. You can help from home, you don't have to put yourself in danger.